More than 30 years of evidence-based research has shown that the more words spoken to a child between birth and 4 years, the more likely they are to reach their potential. The Starling counts your words so you always know you’re saying enough. 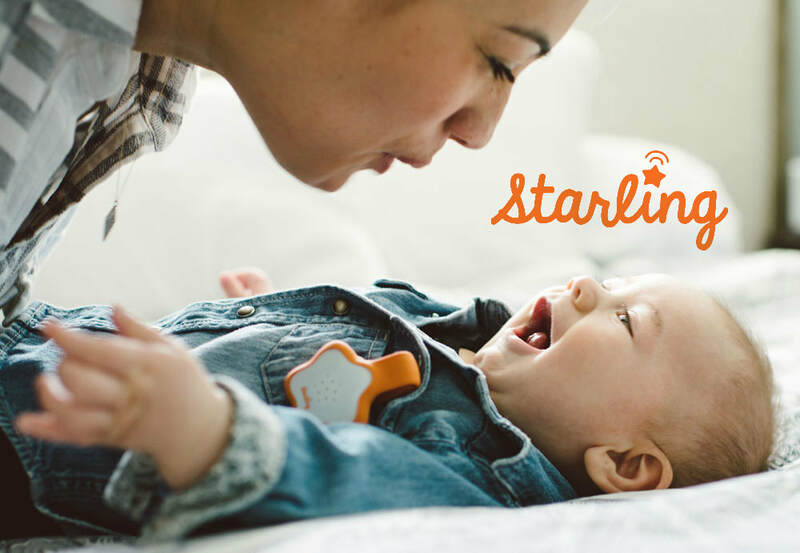 Simply attach the Starling to your child’s shirt, jacket or pants, and then talk to your baby in your native language. Without actually recording, the Starling counts "word units" and then delivers the word count to your smart phone app, along with tips and activities to keep you talking. To receive your $20 discount, click "Details and Order" taking you to our affiliate portal. Click "Add To Cart." Then enter coupon code "starhbs" to receive $20 off each unit. Want to improve your word count? Set daily word goals and complete challenges. The Starling will help you with fun activities and tips. 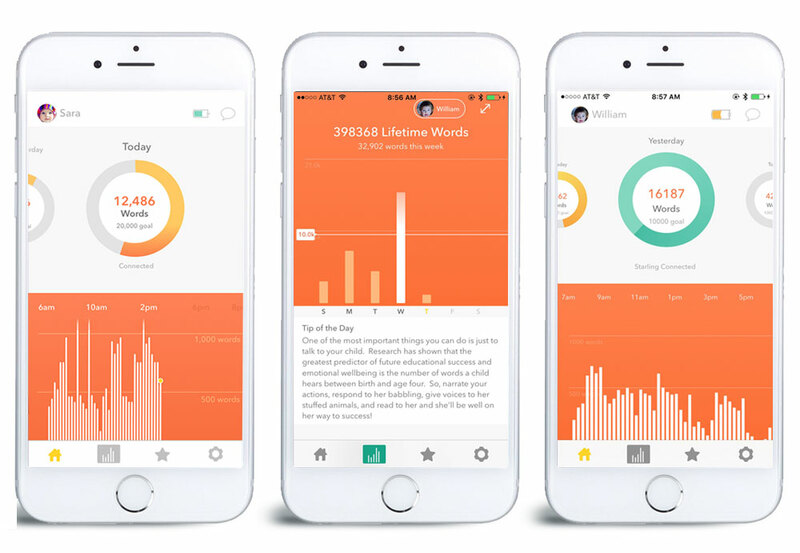 Talk, track and achieve with the Starling.